Artfully decorated boxes, filled with seeds and herbs. All boxes are adorned by hand. Wooden boxes are pyrographed, stained and varnished. For details please view the item listings. 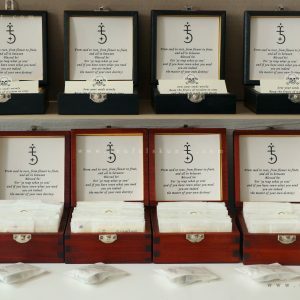 New boxes and special reliquaries for herbal charms shall be listed here, when they become available.